Bhaag Milkha Bhaag (Run, Milkha, Run), a biopic of the legendary Indian athlete Milkha Singh, is set for worldwide release on 12 July. The BBC's Geeta Pandey met the film's director, Rakeysh Omprakash Mehra, and lead actor, Farhan Akhtar, in Delhi. The film, depicting the life and achievements of the "Flying Sikh", who overcame personal tragedy to represent India three times at the Olympics, is perhaps the most-awaited Bollywood film of the year. As a young boy who lived in a remote village in Multan province, Milkha saw his parents and seven siblings murdered during the Partition of India and the creation of Pakistan in 1947.As his father fell, his last words were "Bhaag Milkha Bhaag", exhorting his son to run for his life. The boy ran - first to save his life, and then to win medals. Arriving in India as an orphan in 1947, he took to petty crime and did odd jobs for survival until he found a place in the army. It was there that he discovered his athletic abilities. Singh's exploits on the track and field are legendary in India - he won five golds in international athletic championships, broke a 400m record at the 1960 Rome Olympics and was awarded the Helms World Trophy in 1959 for winning 77 of his 80 international races. Mehra, best known for his 2006 hit Rang De Basanti and Delhi-6 three years later, was chosen by Singh's golfer son, Jeev Milkha Singh, to make the biopic. 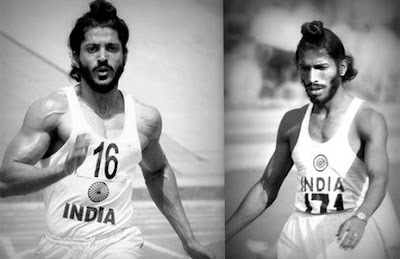 The athlete sold him the rights to his story for one token rupee.The director, who grew up with the "folklore" of the "larger-than-life" sprinter, says his film is not about Singh the athlete, but rather "the spirit of Milkha, the colours of his life". "It's an amazing story - he was a local hero, the son of the soil, who went out and conquered the world for us." Bhaag Milkha Bhaag, which took four years to make and cost $6.5m (£4.36m), begins in 1947 and ends in 1960. Actor Farhan Akhtar, who plays Singh on screen, says when Mehra narrated the script to him, he "felt tremendously moved by the story". "I was also surprised how ignorant I was about his life. 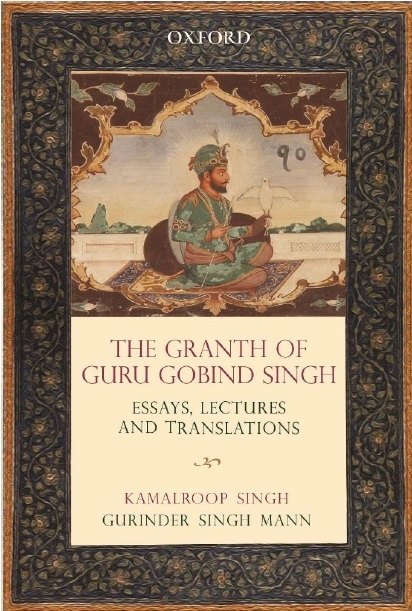 We knew about him as a sporting icon, we knew he was called the Flying Sikh, but didn't know what made him the hero." Akhtar says he trained between four and five hours a day for the role and had several meetings with Singh to learn about his running style. "An athlete's body language is very different from an ordinary person's. And Milkha had a unique running style. Most athletes run with their arms bent at the elbows, but he ran with his arms flailing about," says Akhtar. Singh told the BBC he used to run six hours every day. "I would not stop till I had filled up a bucket with my sweat. I would push myself so much that in the end I would collapse and I would have to be admitted to hospital, I would pray to God to save me, promise that I would be more careful in future. And then I would do it all over again." In the official trailer for the film, as actor Farhan Akhtar races towards the finishing line in his white jersey, one is struck by the striking resemblance he bears to Singh: the sunken cheeks, the aquiline nose, the high cheekbones and identical body language. Bollywood actress Sonam Kapoor plays Milkha Singh's love interest in the film. And the athlete has given his screen version a big thumbs up. "Akhtar is brilliant in the role. He has done a great job. He looks like a duplicate Milkha Singh," he told the BBC. Singh won Gold at the 1958 Commonwealth Games in Cardiff and went on to finish fourth in the 400 metres at the Rome Olympics, missing out on a bronze medal by a whisker. Even though he never won an Olympic medal, his only wish today is that "someone else should win that medal for India". And he is hoping the film "will inspire the next generation". "We had nothing in our times. The athletes and sportsmen in those days didn't earn much money. We worked for the applause; people's appreciation inspired and motivated us; we ran for the country," he says. "People of my age and era are aware of me, but today's generation doesn't know about me. I hope the film will inspire the next generation, how hard work can take one far in the world."